This is it – this is what you have all been waiting for. Our 20th country! Mongolia, the land of dreams, no roads, steppes and sheep… a lot of sheep. 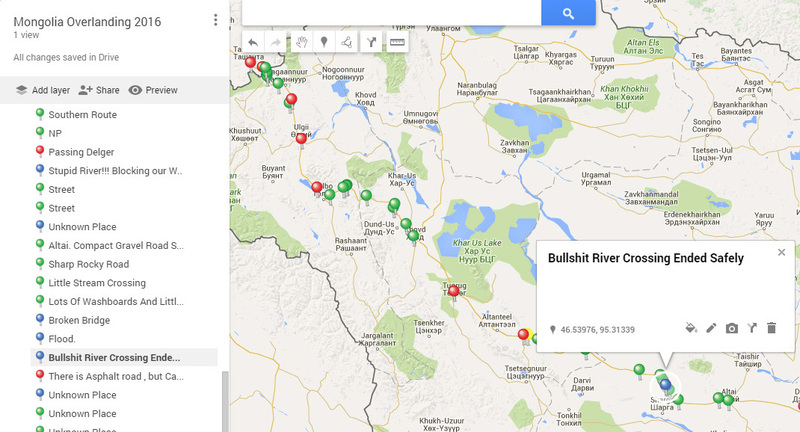 This is just the overview of the things we did in Mongolia in the past couple of weeks. More detailed posts coming up. 1) For now enjoy the video. 3) And if you are planning your own trip through this amazing country then you will find useful our GPS coordinates and descriptions of road conditions. Big thank you to Heike and Danny of Overland-Discovery.de for their GPS tracks! Green – dirt road, washboard, no pavement, annoying offroad.